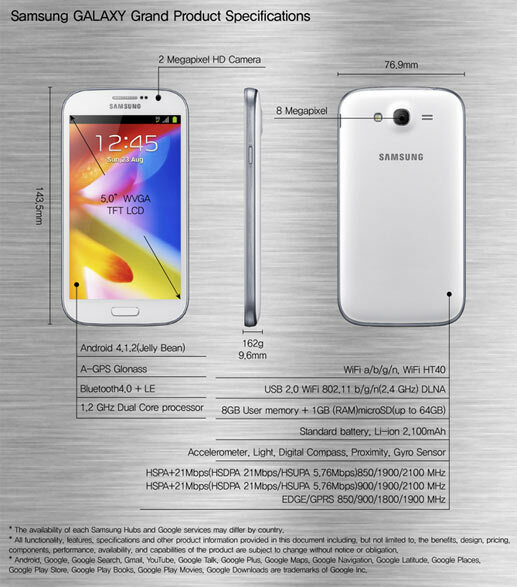 It's CES'13 and how can you expect Samsung with no mobile devices,so as per our expectation Sasmsung releases Galaxy Grand.We had already shared a picture with its specification on our Facebook page.Hope you had a look at it but here we are with the full specification of this device. 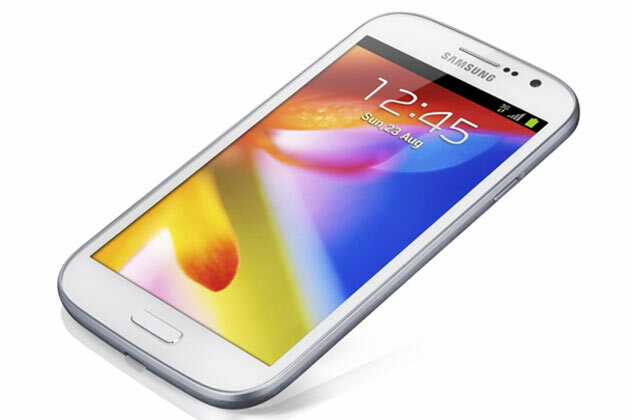 The Samsung Galaxy Grand runs Android 4.1.2 (Jelly Bean) with a 5 inch display.The smartphone also features a powerful dual-core 1.2GHz processor, along with 1GB of RAM, an 8-megapixel rear camera offering 1080p video recording and a 2-megapixel front camera. 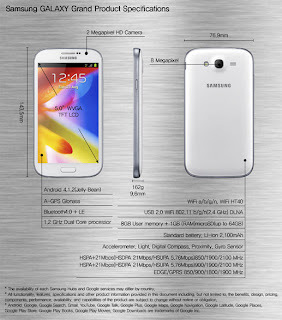 Samsung GALAXY Grand also includes intuitive features that make the phone easy to use. For example, Direct Call enablles users to automatically dial a call by raising the device up to the ear; while users can also shake the phone to trigger status updates, or pan it to zoom into a screen. Smart Alert shows missed events such as missed calls and new messages just by picking up the phone. Popup Video, for example, lets users watch video in a pop-up window anywhere on the screen while running other tasks; S Voice lets you control the phone using your voice; and AllShare Play lets you share content across Samsung devices using a single account.